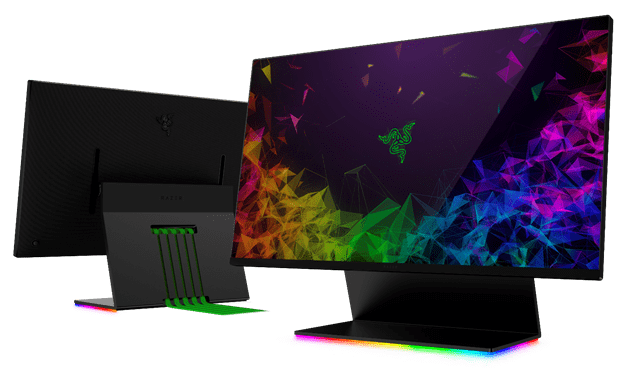 (Hong Kong, 7 January 2019) – Razer™ (“Razer” or the “Company”, HKEX stock code: 1337), the world’s leading lifestyle brand for gamers, announced today its all-new 27-inch gaming monitor concept, the Razer Raptor. The desktop screen was unveiled at CES 2019 as an early-design-phase model, with production units slated for release later this year. The Razer Raptor will deliver ultra-wide viewing angles with its custom-calibrated WQHD (2560×1440) IPS edge-to-edge panel with thin 2.3 mm bezels. The monitor will feature AMD Radeon™ FreeSync™ adaptive sync technology with fast response times featuring 1 ms Motion Blur reduction and a refresh rate of up to 144 Hz, ensuring fluid frames while gaming. The display satisfies the most demanding esports and performance enthusiasts insisting on a pixel-perfect display with high refresh rates and low response times for competition at the highest levels. The new Razer Raptor gaming monitor will be priced at US$699.99 and is scheduled to be available later this year from Razer.com in the U.S. and Canada.